There's not better way to do the dishes than with FREE dish detergent. Ready to score??? 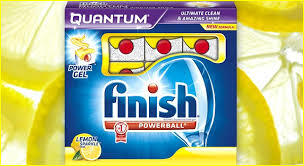 Hurry over and request your FREE sample of Finish Quantum Lemon Sparkle Dish Detergent.